Is online gambling legal in Kenya? And where can you find the safest online casino sites accepting real money payments using the Kenyan shilling (KES)? Read on to find out more about Kenya’s online gambling laws and discover the best online casinos accepting Kenyan players for real money games of blackjack, roulette, slots, poker and more. Kenya is a country in eastern Africa, with a coastline running along the Indian Ocean. It is known to contain some of the earliest evidence of humanity, with palaeontologists discovering some of the oldest known human remains in Kenya’s Great Rift Valley. It is a heavily populated country of around 42.7 million and rich with cultural diversity. The major languages spoken are English and Swahili and the major religion is Christianity. Kenya has the biggest and most advanced economy in east and central Africa, with major sources of income coming from tourism, agriculture and manufacturing. Visitors from across the world are drawn in by the intrigue of Kenya’s savannas and mountain highlands, where exotic wildlife like elephants, rhinos and lions roam. Despite having an affluent urban minority, Kenya has many socioeconomic issues and sits at number 145 out of 186 countries on the Human Development Index. Gambling is a legal and regulated industry in Kenya, with the introduction of the Betting, Lotteries and Gaming Act of 1966 governing all forms of gambling in the country. Unlike many of its African neighbours, Kenya has clearly defined laws regarding gambling and allows land based casinos, one state-run online casino, two state run lotteries (which are also available online), sports betting and horse racing. The gambling industry is big business, with the Kenyan government collecting upwards of $3 million in revenue each year from gambling related activities. Is it legal to play at an online casino in Kenya? 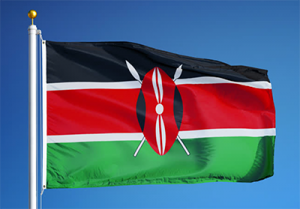 Kenya is one of the few African countries to keep its gambling legislation up to date to include the expansion of the Internet, and under Kenyan law it is legal for online casinos to operate. The catch is an online casino can only legally operate if it has received approval from the Kenyan government, and only a single license has been issued, giving one state-run casino full monopoly over online casino games like blackjack, roulette, slots and poker. As it usually the case with any monopoly, people get bored and want more choices, which is why most Kenyan gamblers are heading to online casinos that are run offshore instead. While technically it is illegal to play at offshore casinos, there is nothing in Kenya’s gambling laws to punish players from doing so, so the offshore gambling industry continues to thrive. While these legislative grey areas allow Kenyan’s to access online casinos licensed by international jurisdictions with very little risk, be aware it is your own responsibility to understand the online gambling laws that apply to you and always take care when playing for real money online. We recommend the use of a trusted VPN (virtual private network) for an added layer of security. The Kenyan government does nothing to block offshore casino sites from offering services to Kenyan players, so many of the world’s leading online casinos continue to cater to the Kenyan market. When choosing an offshore casino site to play at, it’s imperative to make sure it is legally licensed and regulated by a trustworthy international gambling jurisdiction – this will ensure gaming software is safe and fair, payments are protected and that all gambling activity is running fully above-board. To guarantee the online casinos you play at are safe and certified, stick with the venues recommended on our website. These casinos have all undergone our stringent testing process to ensure they are worthy of your time and money. For a full list of the top-rated online casinos accepting players from Kenya, refer to the casino table at the top of this page. This list of recommendations has been geo-targeted to recognise your location and only recommend certified offshore casinos that accept players from your country. Read more about these casinos using the links above to find out what they have to offer, then sign up using our links to get access to some exclusive new player welcome bonuses. It is easy to play real money casino games online in Kenya. All you need to do is select a trusted, certified casino site like any of those recommended in our table above, and sign up for an account. Registration only takes a few minutes, requiring you to enter basic personal information like your name, date of birth and address (ensure you enter these details correctly as you may be required to provide proof of identification before you are able to withdraw any of your winnings). Once you’ve signed up, log in to your account and head to the casino’s cashier or banking section to select your payment method and make a real money deposit. Unless you are playing at Kenya’s official state-run casino, chances are slim of finding a reputable casino that accepts payment using the Kenyan shilling (KES). You can still play for real money, it just means you may be subject to currency conversion fees as your money is exchanged into a widely accepted currency like USD, EUR, GBP or AUD. The deposit options available differ between each casino, but commonly accepted payment methods include Visa, MasterCard, direct bank transfer (via Citadel Direct, Trustly, bank wire, etc), Paysafecard, Neteller, Skrill, ecoPayz and EntroPay. Refer to the FAQ section of an online casino to see what banking methods they offer to Kenyan players before signing up for an account to ensure the vendor accepts your preferred payment type. If you’re still not sure, you can always use the live chat function to speak to a customer service rep.